"Air Relax has enhanced my training and boosted my performance by allowing me to push beyond my limits during training. I now have "fresh legs" for my performances." 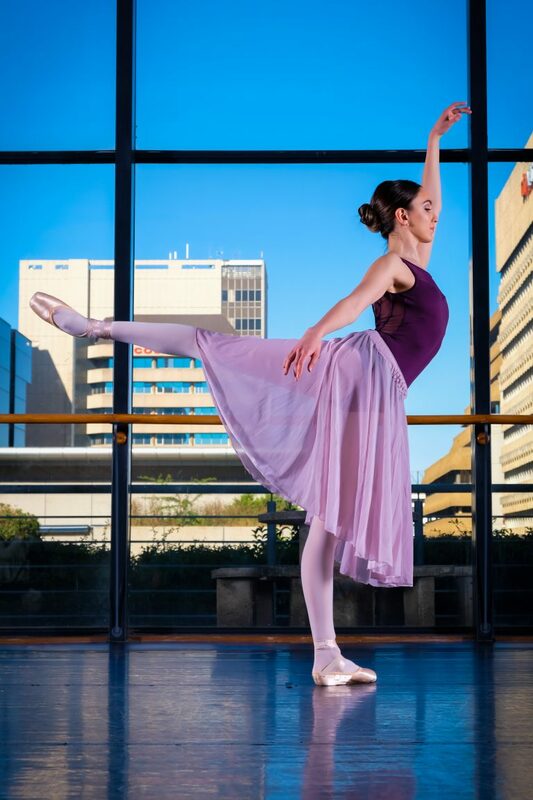 Exercising every muscle intensely for at least 8 hours a day, is my usual routine as a professional ballerina. I had been looking for a quick trick to speed up my recovery – not only between daily rehearsals, but particularly between performances where there is rarely time to rest. My legs never used to get the chance to recover. I would inevitably start dancing each day with legs that felt like lead. I realized that a significant amount of my time should be devoted to the recovery process post a workout, but I would often come home exhausted and had little energy to start a recovery regime. That’s until I learnt about the Air Relax recovery system. I first heard about air compression boots online after I saw international ballet dancers and athletes using them. A friend let me borrow her recovery boots and it became clear to me that I needed to get myself a pair. However, I never thought they were an affordable option, until I came across Air Relax. I was skeptical at first, but after reading many positive reviews about their products, it became the obvious choice. Air Relax were extremely helpful and offered me a free trial before making my choice. I was sold after testing the Air Relax recovery system. I am incredibly grateful to Air Relax for this life-saving product! Post workout recovery has never been so easy and quick from the comfort of my own home. My favourite features are the 4 pressure settings that allow me to easily adjust the pressure according to how sensitive or sore my legs are feeling, and the 5 different compression modes. This allows me to direct pressure to a specific area in need of more careful recovery. The Air Relax compression boots help to alleviate the build-up of lactic acid and waste products. Muscle fatigue is reduced after just 15 minutes and my legs are left feeling fresh and light, ready for my next performance. Air Relax has enhanced my training and boosted my performance by allowing me to push beyond my limits during training. I would absolutely recommend this product to any dancer, athlete or professional sportsman. The Air Relax recovery system has become essential to my training schedule. After a physically demanding day of training, I look forward to coming home and putting my air compression boots on, while allowing the rest of my body to completely relax. Air Relax is compact, affordable, quick and simple to use. It leaves your legs feeling completely energised, enabling you to train hard and recover faster! "Air Relax was the obvious choice for me - their boots are small enough and their pressure system is high enough to still be effective in aiding recovery"
As both a physiotherapist and athlete the benefits of compression therapy are numerous. As a physiotherapist treating many post-operative patients, I use compression therapy to prevent deep vein thrombosis (DVT), accelerate healing of venous leg ulcers and to reduce lymphedema following orthopedic and vascular surgeries. Compression is thought to reduce edema by moving excess tissue fluid to the intravascular space and promoting venous and lymphatic return to the heart, leading to decreased tissue pressures and improved micro-circulation. It also has great value in treating acute ankle and knee injuries by means of decreasing edema as explained and when combined with cryotherapy to manage inflammation. As an athlete I use compression therapy to improve and aid recovery, especially when racing consecutive days. The compression assists in actively moving metabolic waste from muscles, similar to what active recovery with compression pants would do, but without the demand for additional fuel from your muscles. This is what makes it such a useful and effective tool. Air-Relax was the obvious choice for me – their boots are small enough and their pressure system is high enough to still be effective in aiding recovery. Being on my feet all day as full time time restaurateur and physiotherapist, Air-Relax is phenomenal at reducing post training as well as post work soreness and fatigue. It enables me to stand all day yet have fresh legs for my training session the next morning. I can use it in the comfort of my own home while watching a DVD or reading a book and it only takes 15 minutes per cycle. 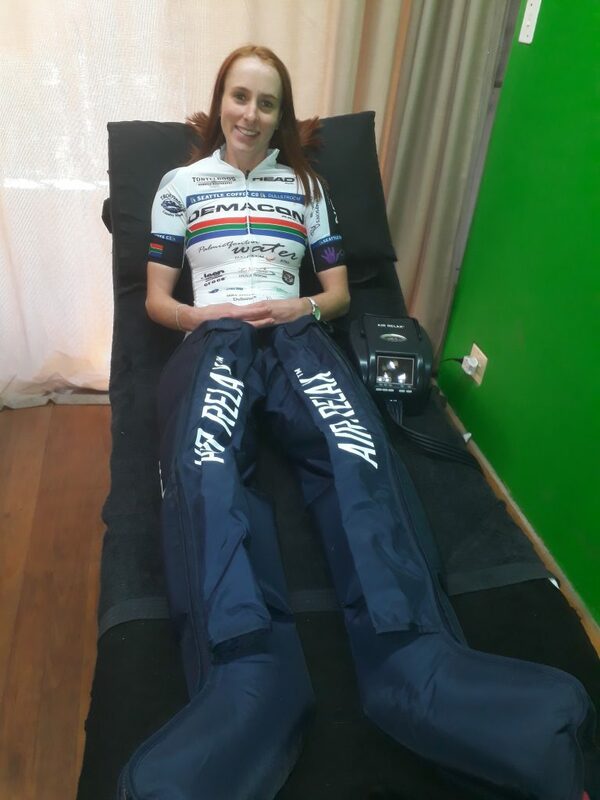 "I have found great benefits in using Air Relax compression therapy due to its simple and effective means of increasing blood flow to the legs and decreasing lactic acid buildup."